59424-SS-PK is rated 1.9 out of 5 by 7. 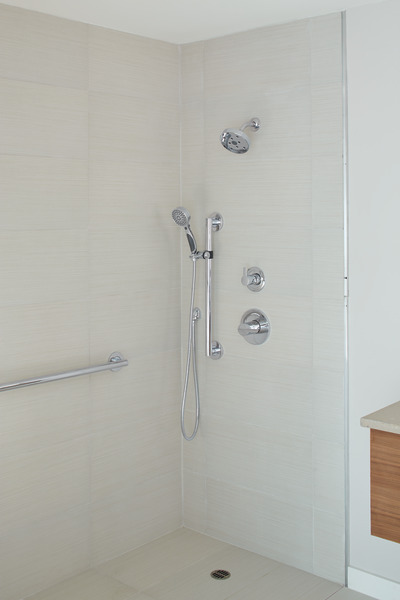 Rated 1 out of 5 by Jon C from This shower head is awful I bought this about two weeks ago because it thought it would be easy for my daughter with Cerebral Palsy to use. Now the buttons are stuck rendering the shower head pretty much useless. It's stuck on a spray that nobody likes. Rated 3 out of 5 by Ricky from Lightweight, easy push-button settings, weak massage I bought this to replace an existing 8-year old delta massage wand. This one is easier to hold, and the push-buttons make it very good for arthritic hands. However, the massage feature is very weak, especially compared to the older one. The non-massage spray pattern is adjustable from firm to very soft. A very nice soft, high volume spray for rinsing. Rated 1 out of 5 by Bill from Buttons do not work, very weak flow I bought this two weeks ago. The power settings do not work as advertised. The water flow is always very weak in any button combination. Rated 1 out of 5 by donald from buttons sticking shower head had one button stick after 1 week returned it to a HD where the guy said he was taking the rest off the shelf. Second one two buttons in two weeks, no longer have the receipt. the only thing I like about the delta shower heads is the 6ft hose unlike most 5 ft hoses. Rated 5 out of 5 by BitBit60 from Delta Handheld shower This was just what I was looking for, and it actually held up to its description. One setting is a hard massaging setting that I can get the shampoo out in a hurry. I bought and returned others that bragged about having multiple setting, but they were all puny. Rated 1 out of 5 by Southpaw from Great idea, poor performance Control buttons started sticking after 2 months, replacement #1-buttons sticking in 1 month, replacement #2-buttons sticking in 1 week. Sent first 2 back to Delta Canada- No promised return phone call. Phoned Delta Canada last week, return phone call promised for next day- nothing heard yet. Phone representative claimed returned units were found not faulty even though 2 buttons on each unit were stuck inward when shipped, however admitted he could unstick the buttons by somehow flicking them with his thumb.....not faulty...hmmmmm. I asked for a comparable replacement of different design......nothing heard. Now tired of wasting my time. 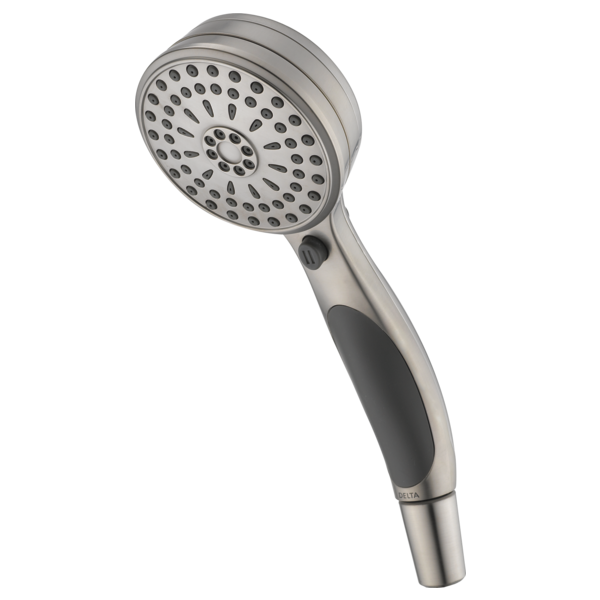 Rated 1 out of 5 by pedemm from Buttons don't work buttons jammed the first week we had this shower head and we lost the receipt so we are stuck with it. I would not recommend this product to anyone. Is this a standard 1/2in connector? Does this come with a hose? If yes, how long is the hose? Thank you for your question. Delta Faucet model # 59424-SS-PK does not include the hose. It is the handshower only. can i remove the flow restrictor ? I live in a subdivision with a well that frequently has low water pressure. Is pulsating massage one of the 9 settings? Do any of your hand helds offer that setting?